The Gorodnoye site covering 910 ha is located in the Pra River valley, the Spassk District of the Ryazan Oblast. Since 1990, this site has been part of the Oksky State Biosphere Reserve. Back in the 1970s, when this land belonged to the Spassk Forestry, the site was subject to major drainage, with 57 km of drainage channels having been excavated there. Before drainage was undertaken, there was a fenland composed of black alder mires, reed beds, and sedge groves. 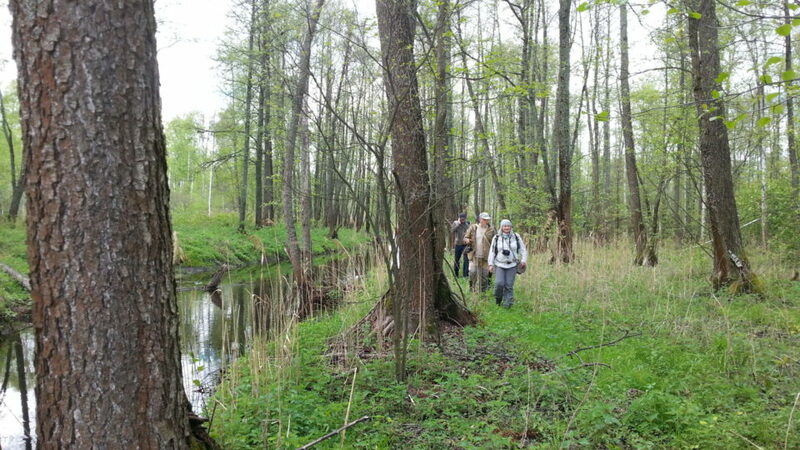 Today, the site comprises a mosaic of inundated (dammed by river beavers) birch and willow thickets, as well as relatively dry black alder groves and mixed spruce, birch, and black alder forests. The dry sites pose a high fire danger in low-water periods, especially in spring. 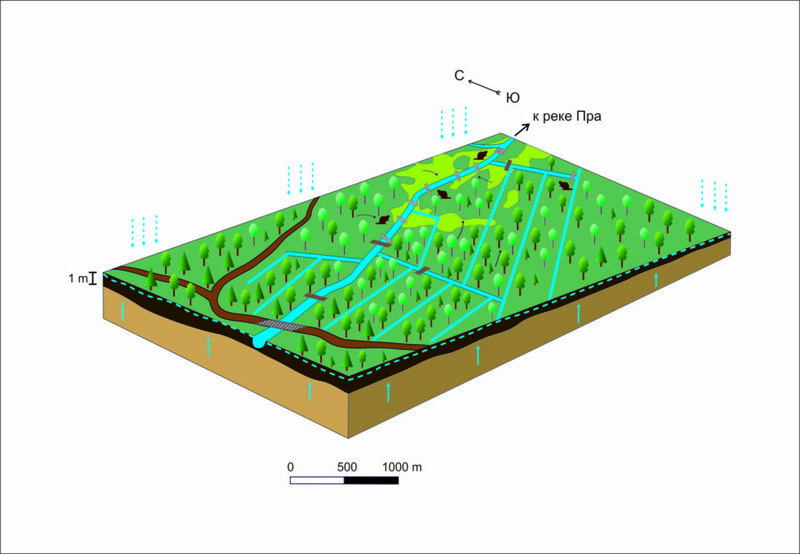 An engineering design for restoring natural hydrological regime of the black alder peatland was developed by the NORSTEN Scientific and Technical Center in 2017. 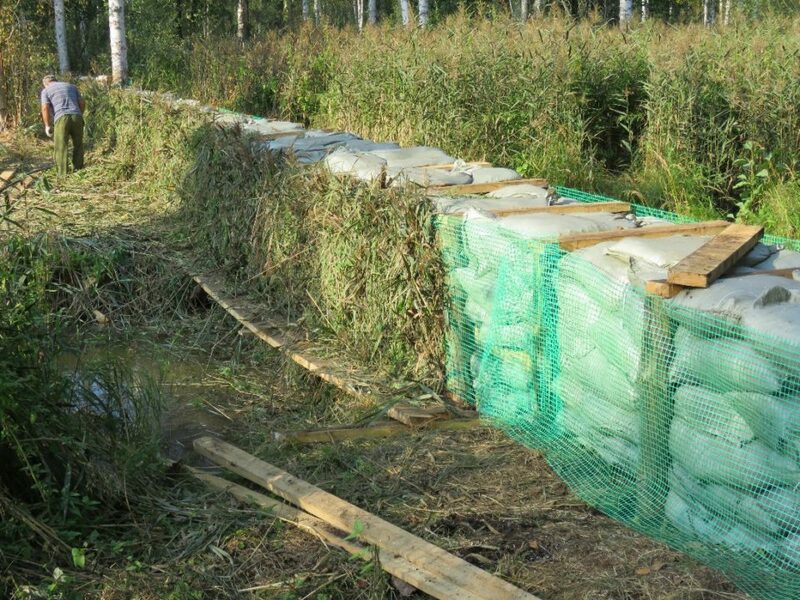 Practical rewetting activities were performed by the staff of Oksky Biosphere Reserve from August to October 2018. 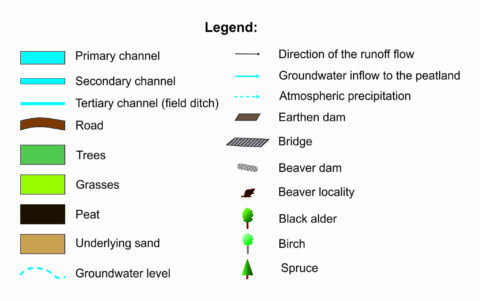 These included the manual installation of four earth-filled timber cofferdams: two dams on secondary channels, and two, on the main channel (see figure below). The Reserve has developed a long-term programme for monitoring the response of biota components to the rewetting of the black alder peatland. Yearly status monitoring of various biota groups is planned during the first 3–5 years, then once in every 3 to 5 years. Initial ecosystem restoration of the black alder peatland throughout the site will take 3 to 10 years. 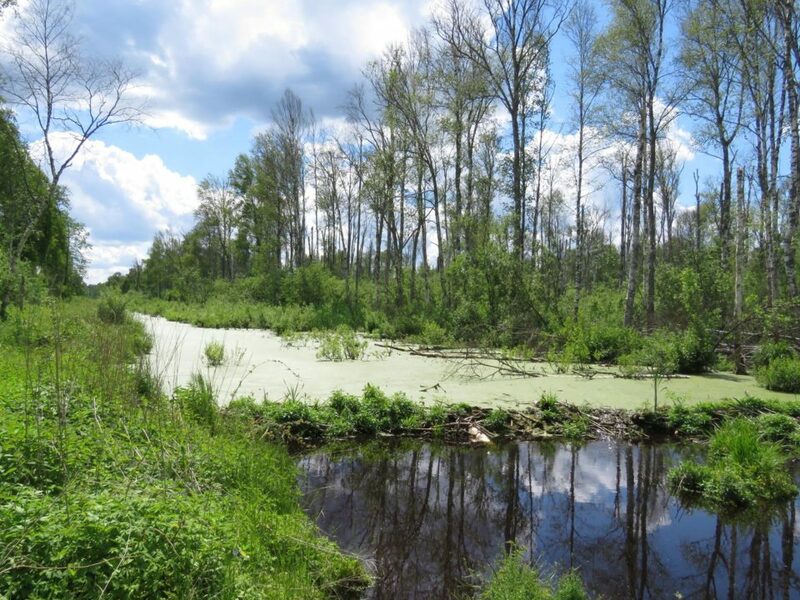 The complete restoration of peatland functions can be expected in 20 to 25 years. 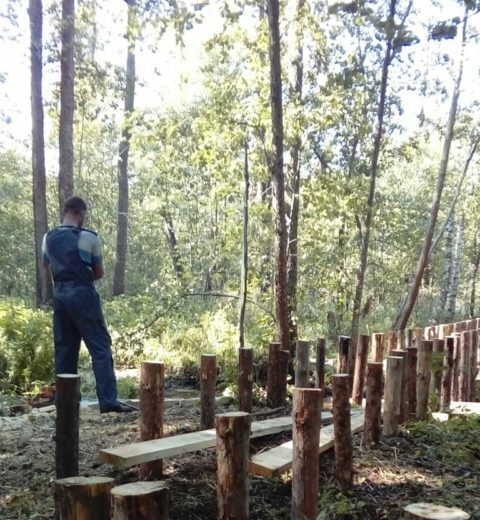 With a view to raising public awareness of peatland restoration, an ecological trail was established at the Oksky Reserve, with a boardwalk across a natural peatland, a demonstration plot at the rewetting site, information billboards, and supporting equipment and materials for guiding tours.